Home→Club news→The DX Century Club Welcomes W4LEW! 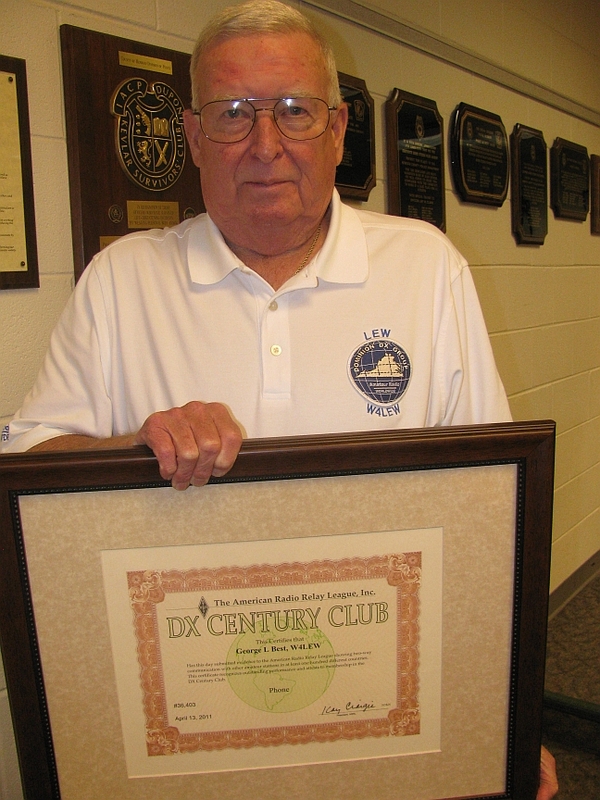 The DX Century Club Welcomes W4LEW! Club member Lew Best W4LEW poses with his first (mixed) DXCC. Along with this award he also received his DXCC phone endorsement. Licensed for less than two years, Lew quickly obtained is Amateur General and Amateur Extra class licenses in order to take full advantage of the DX found throughout the spectrum. Congratulations to Lew for a notable achievement in an incredibly short period of time!